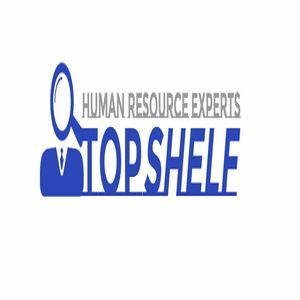 The Top Shelf - Human Resource Podcast is the Straight Talk HR Podcast that speaks clearly to the Small Business Owner. Our Podcast and company for that matter were built to benefit and partner with Small Business to support them in their dream of running a Small Business in a compliant manner. Top Shelf - Human Resources is committed to Workplace Compliance/Recruitment/Benefits for the Small Business community. Premium HR for fair prices, for Small Business, that's Top Shelf - Human Resources. This podcast speaks clearly to all aspects of the First 100 days of President Trump's presidency and its impact on the American Employer. From the Repeal of ACA, Travel Ban, & withdraw of SOL; to Gorsuch approval, upholding LGBT laws, & freezing any new regulations; this podcast gets deep and clear on what's happening today and tomorrow. Don't forget the OT Rule is not fully dead, and this president does support a modest increase in the minimum salary level. Only time will tell, but the new Secretary of Labor will make it their top priority. Top Shelf - HR: "Wake-up Small Business"
Top Shelf - Human Resources: Wake up Small Business!